The Concerned Black Men of Richmond took a tour of the VA State Capitol on November 18th. 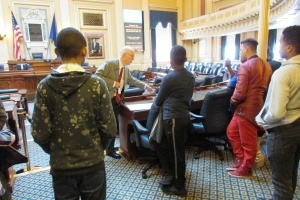 The tour was coordinated through the office of Delegate Jennifer McClellan. We started with a tour of the capitol grounds. 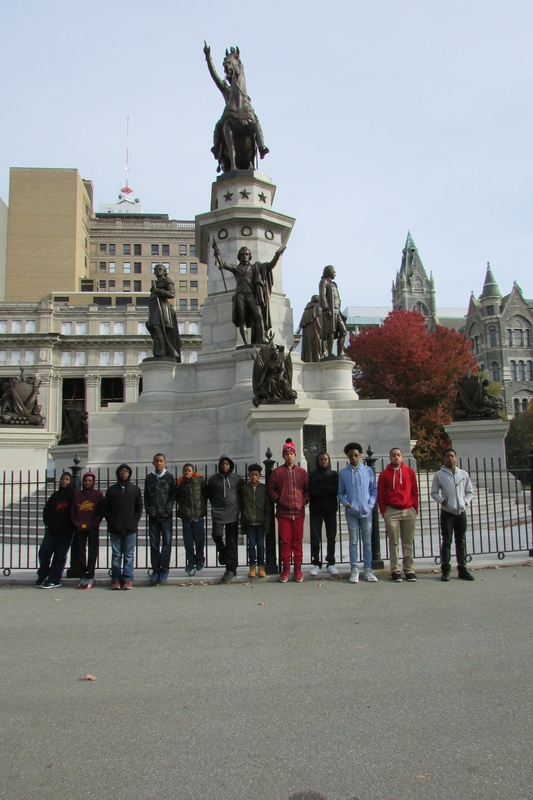 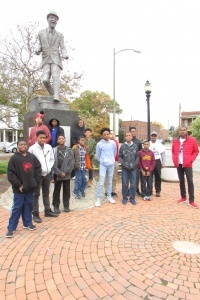 There are many monuments on the grounds that our youth corps had never seen such as the Washington Equestrian Monument, the General Thomas J. Jackson statue and the Civil Rights Memorial. 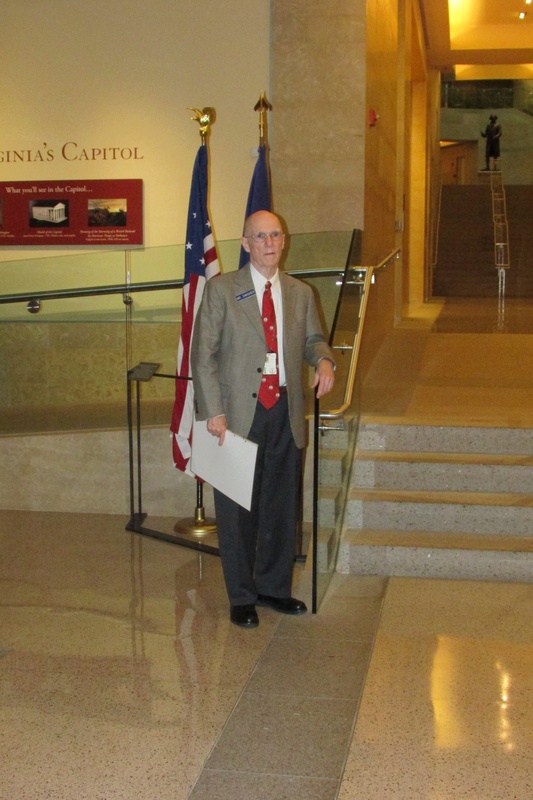 Next we entered the underground extension on Bank St and were met by our tour guide Mr. Swisher. 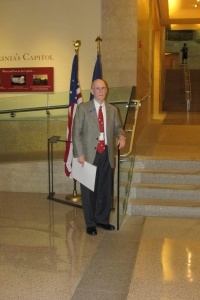 He has extensive knowledge of the history of the capitol as well as US History. 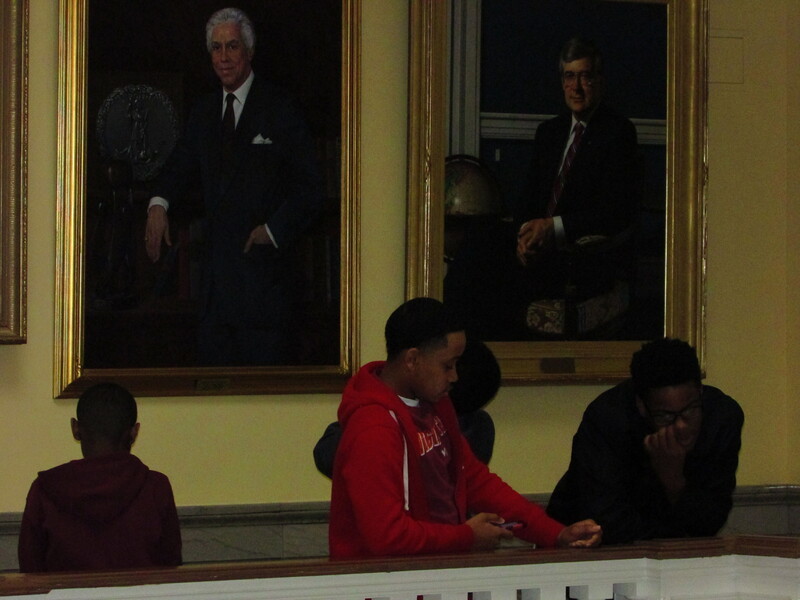 We saw many statues, paintings and sculptures throughout the capitol. 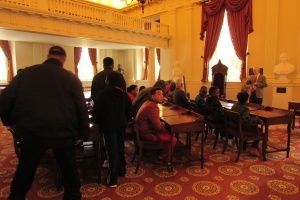 The guided portion of the tour ended in the General Assembly. Mr. Swisher demonstrated how votes are cast from the desks, the qualifications and various roles that pages play. 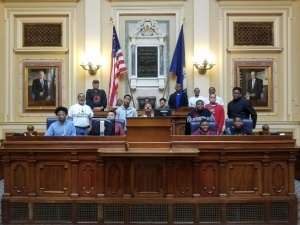 The youth were then allowed to take the seats at the podium. 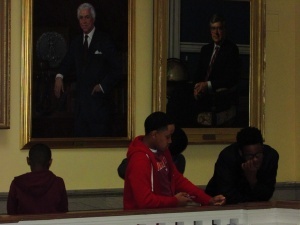 Next we went to the 3rd floor and viewed the portraits of each governor of Virginia. 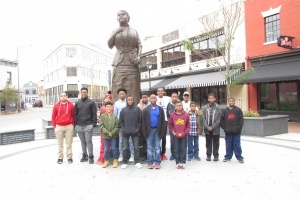 We left the capitol grounds and visited the Maggie Walker and Bill Bojangles Robinson statues. The boys were well behaved and asked many questions throughout the day! 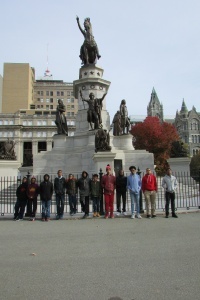 The boys had a great time and actually learned a few things! 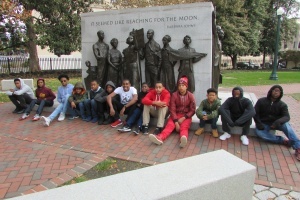 Thank each of you for your support and interest in the Concerned Black Men of Richmond. We will continue in “Caring for our Youth”.